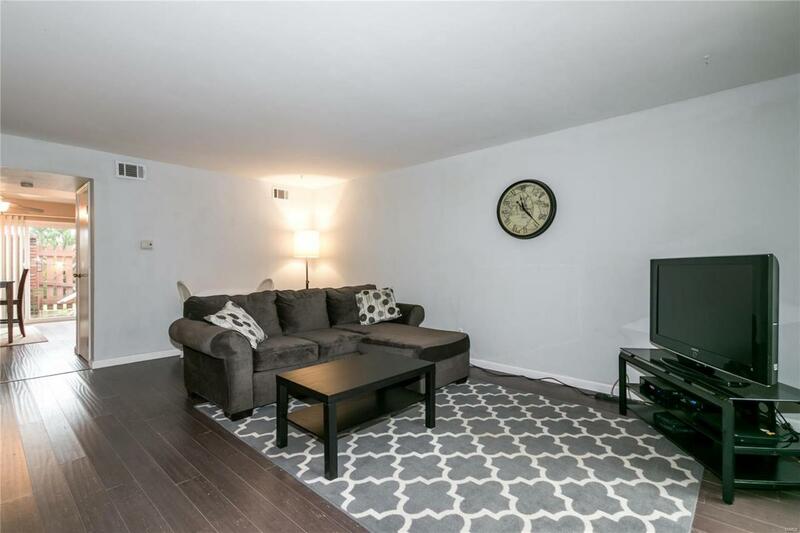 Well-maintained end-unit townhouse boasts 1,258 generous sq ft of clean, updated & inviting living space. 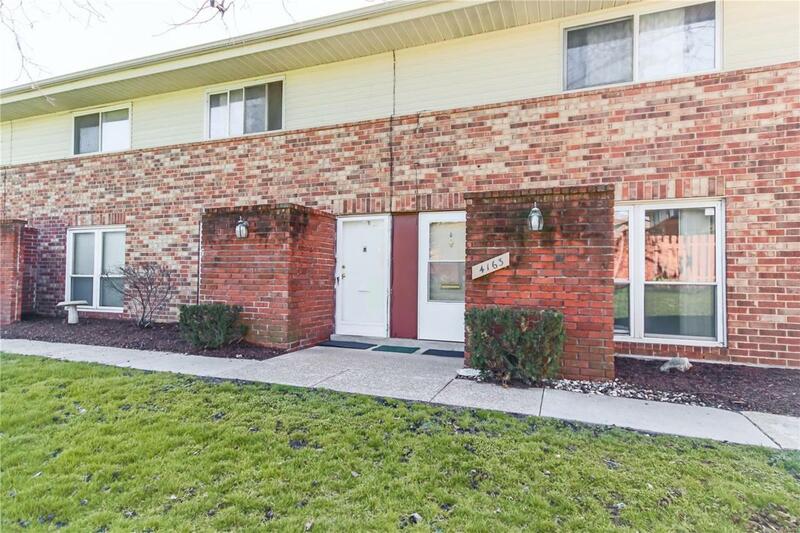 Backs to common ground w/lovely expansive green space, great patio w/wood privacy fence & private laundry in unit. Gorgeous depressed bamboo wood floors, classic warm interior, white doors/trim, neutral carpet, updated thermal windows. Kitchen has center isle w/electric stove, Bosch dishwasher, neutral counters, double sink w/newer disposal, built-in overhead shelf & white tile backsplash. Adjoining breakfast room has updated sliding door, ceiling fan & great view of patio. 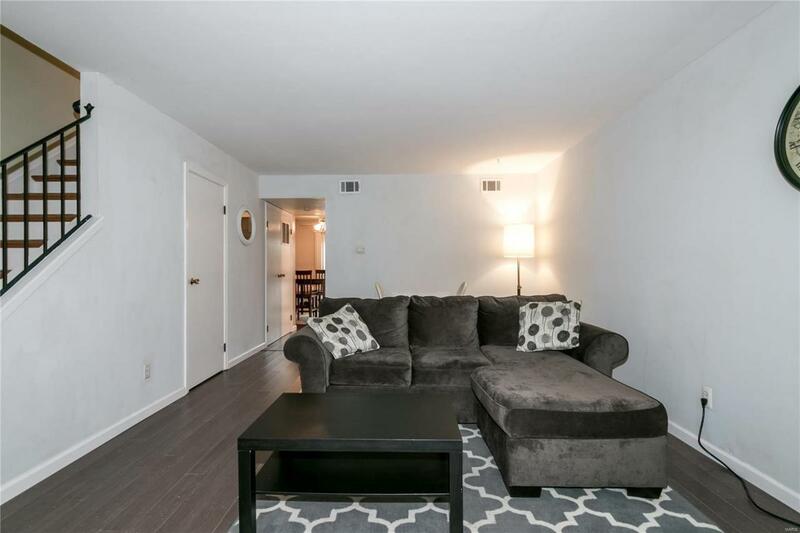 Huge bedrooms w/double closets in master. Versatile living/dining room combo w/wonderful natural light/vertical blinds, wood stairs w/wrought iron railing. White vanities & ceramic tile in baths. 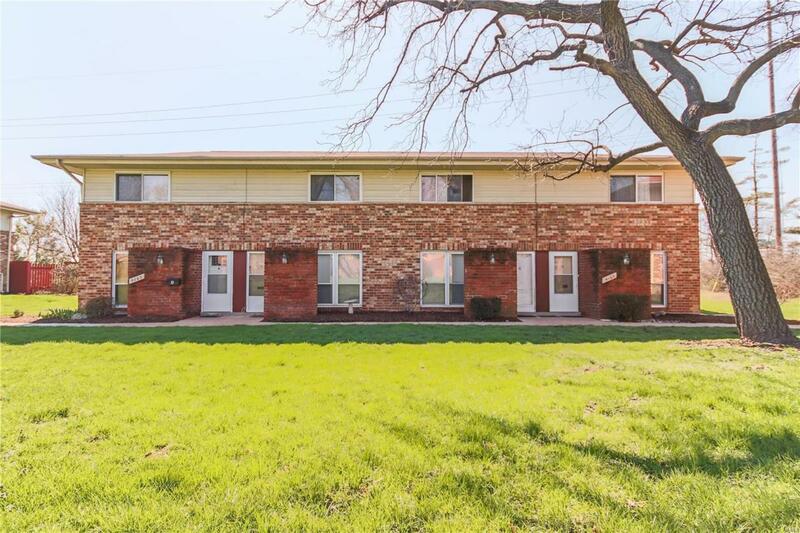 Low maintenance exterior, handsome brick, vinyl siding, enclosed soffits/fascia, newer roof, nice front center courtyard, mature trees, Complex swimming pool. Pattonville Schools & wonderful value for so much space!